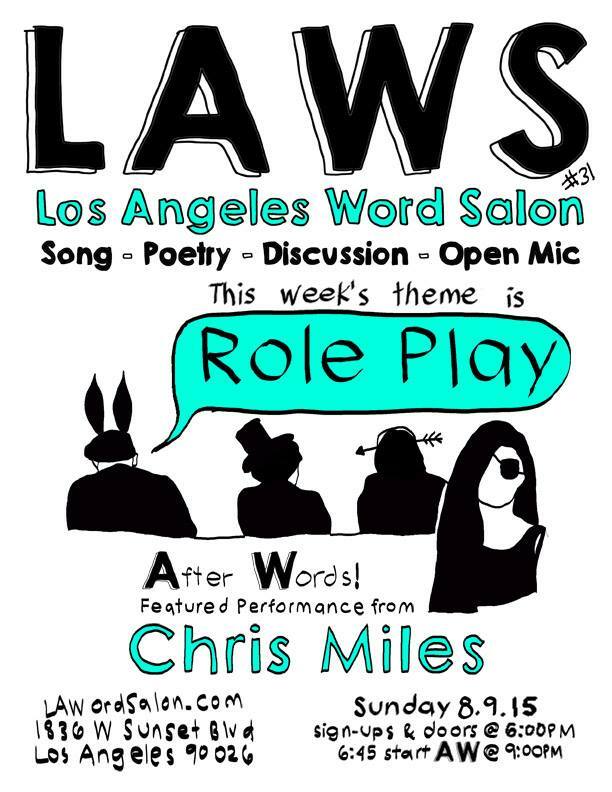 LAWS #31 “Role Play” with [A]fter [W]ords feature Chris Miles is this Sunday in Echo Park! This week we will salon around the theme of Role Play. This week’s [A]fter [W]ords feature is the amazing spoken word poet, CHRIS MILES! Lorna Alkana Art and Mike Gattshall will host! We’ll post the photos, theme suggestions, and group poem from last week’s event, LAWS #30 Manic, throughout the week. We’re all up on Twitter (@lawordsalon)and Instagram (@lawordsalon), as well! go team!